Continuing the aesthetic from Skyfall restaurant which completed in 2015 we designed the second phase with it's own identity using the same materials. 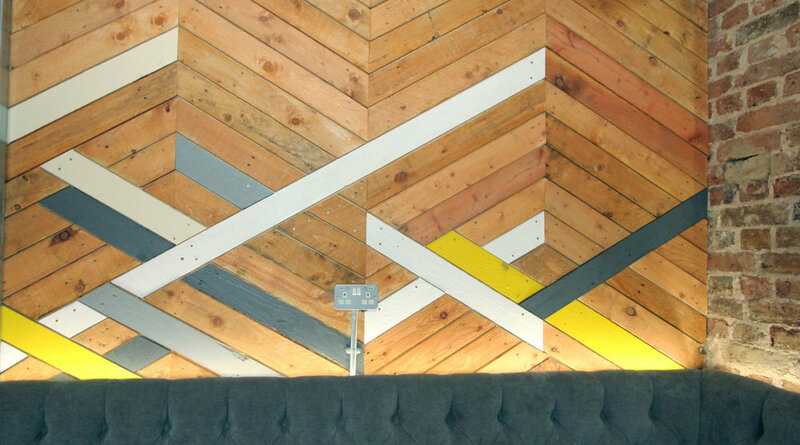 Reclaimed timber is used to clad feature walls which wrap around the bar and dumb waiter in a herringbone pattern with accent colours. 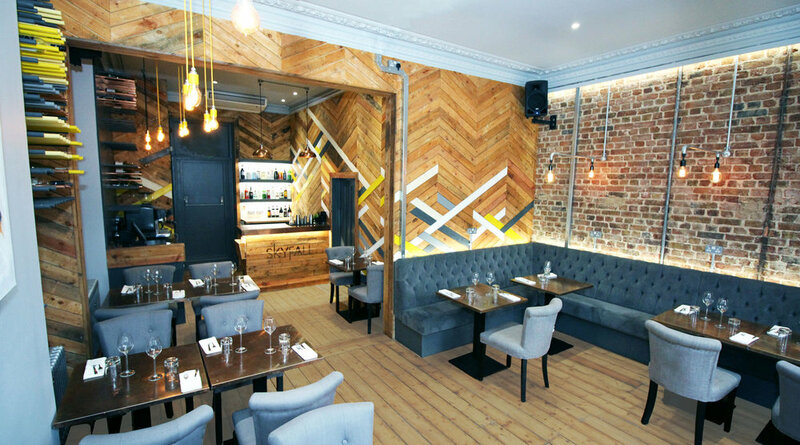 We exposed the original brickwork with bespoke light fittings. We repeated the floating wine rack either side of the chimney breast with copper and timber dowels.